A MAGICIAN is hoping to impress his football heroes with his skills on the pitch after being invited to play alongside celebrities in a charity match. Ben Taylor, who performs as The Magic Mod, will be gracing the home of his beloved Fulham FC this weekend when he takes part in the second annual Fulham All Stars game at Craven Cottage. 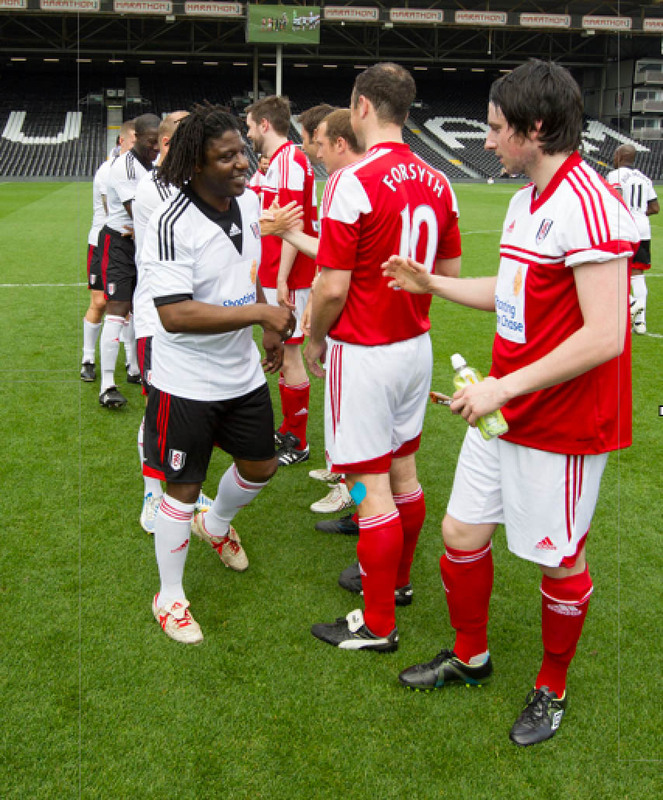 The Shooting Star Chase Cup will see a team of former players for The Cottagers come up against a team of celebrities and sportsmen, which Ben has been invited to be a part of. The event is raising money for Shooting Star Chase, a charity for children's hospices.The celebrity and sportsmen team will include former World Champion boxer Joe Calzaghe and The Only Way is Essex stars Mario Falcone and Charlie Simms. Ben, 23, from Tilgate, is a huge Fulham fan and has built up a friendship with players, including goalkeeper David Stockdale, through his magic. He said: “I grew up watching players like Louis Saha, Luis Boa Morte and Papa Bouba Diop. “It is going to be crazy to stand next to these legends and I plan on working my magic on the pitch.